Subtle and smart, the Kronaby Apex looks great with whatever you wear. It’s tempting to pass smartwatches off as a fad, and one that is fading; but we don’t think that’s accurate. While touchscreen smartwatches aren’t thriving unless they’re produced by Apple, fashion brands and companies are releasing hybrid smartwatches on a far more regular basis, and are finding fans among those who want style, sophistication, and a more watch-like design with tech-smarts. 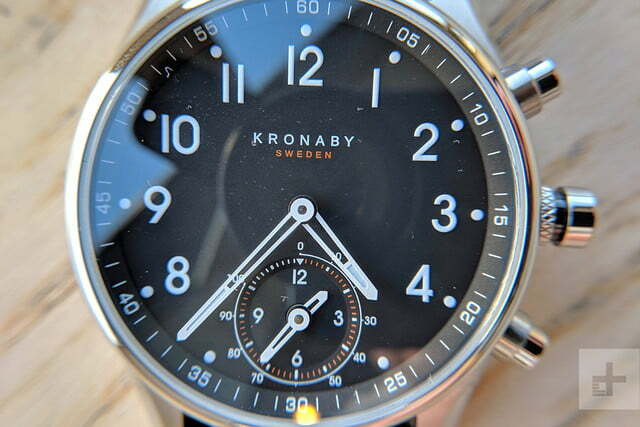 We first saw Kronaby’s range of hybrid watches at Baselworld 2017, when great-looking hybrids were still a rarity. 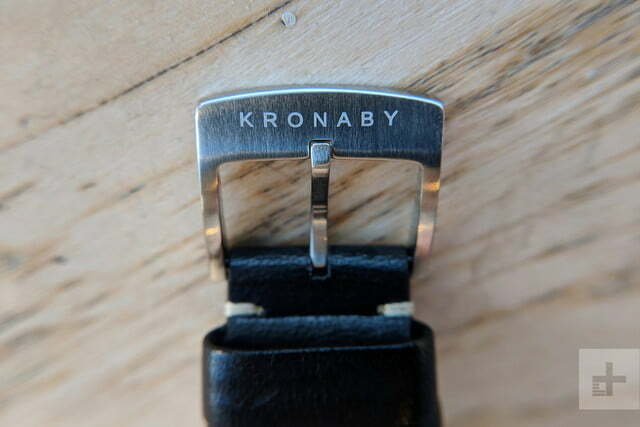 Now, almost a year on, how does the Kronaby watch perform in the real world? We’ve spent a few weeks with one to find out. The answer is actually a little confusing. 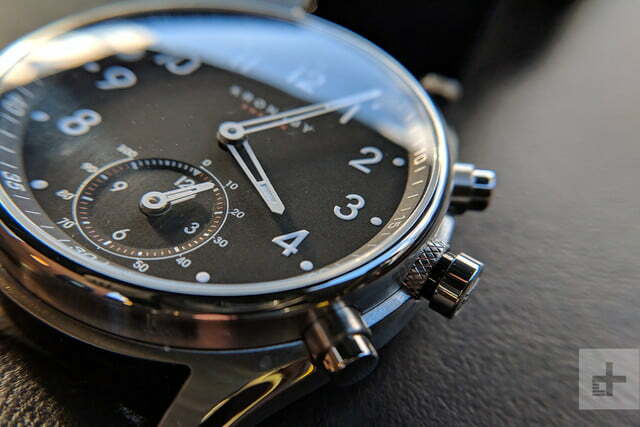 While we like the watch a lot, its smarts aren’t a strong point. What does that mean for the future of smartwatches? 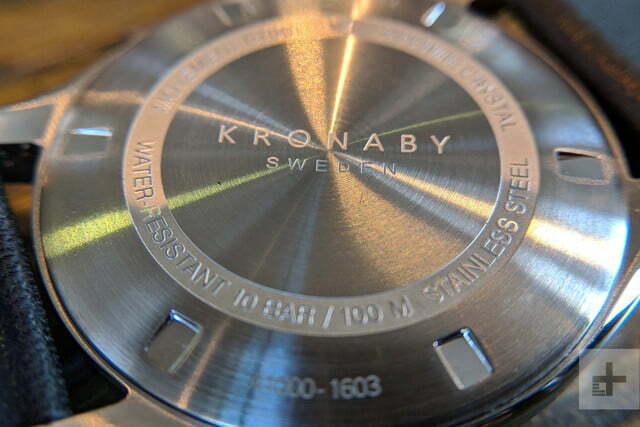 We have been wearing the Kronaby Apex, one of three designs from the company, and it’s the sportiest one of the lot. 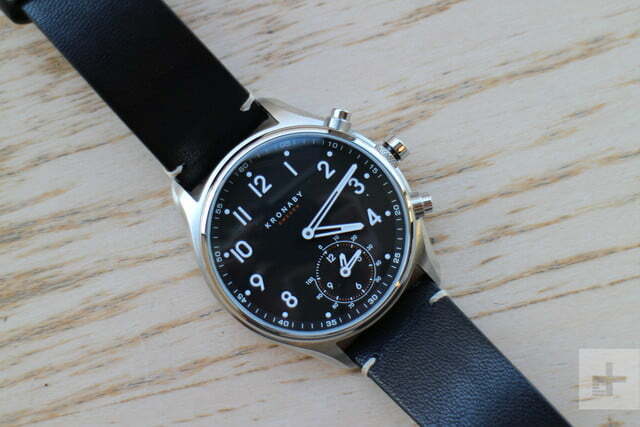 It has a 316L stainless steel body, domed sapphire crystal, and a black leather strap. It’s eye-catching without being flashy, and stylish without being ostentatious. It also looks nothing like a smartwatch. The leather strap is very stiff when the watch arrives, and even after a few days wearing it, it still hadn’t quite shaped itself to our wrist. 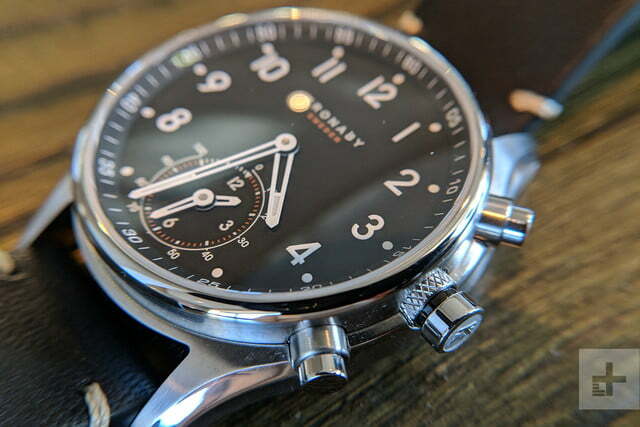 It’s also a substantial timepiece, feeling incredibly well-made, and weighty but not uncomfortable. Look closely and you’ll find some wonderful details. Our personal favorite is the knurled pattern surrounding the crown, which instantly makes us think of the interior of a Bentley, and the intricate Kronaby logo imprinted on the crown itself. This is about as showy as the Apex gets. 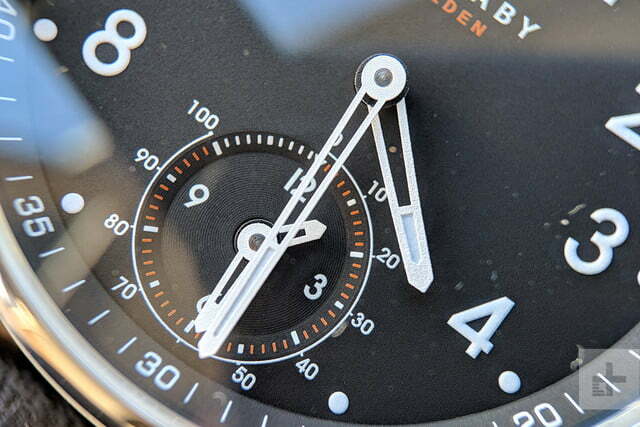 The face looks great with white dials and numbers, set against a deep black background. Matched with the black strap and the stainless body, it’s a design that goes with anything. But at 43mm, the case is quite big, and anyone with small wrists may think it’s a little large. 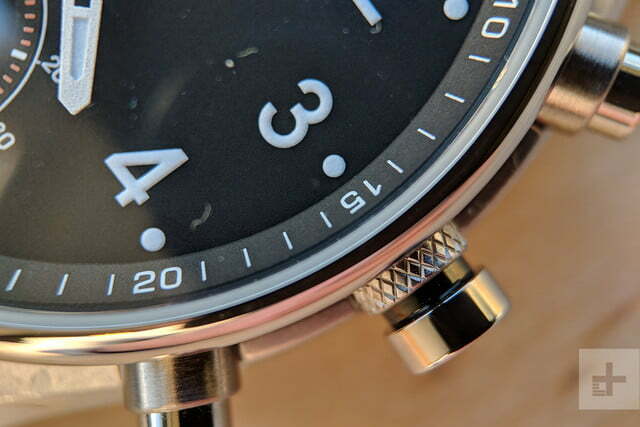 The subdial is configurable, which is an interesting feature. Through the app you can have it show time in a second city or your home city when traveling, or display daily step count. We liked the latter setting a lot, as the second time zone is helpful only in some situations. It’s all easy to set up in the app, so you won’t be put off changing it. 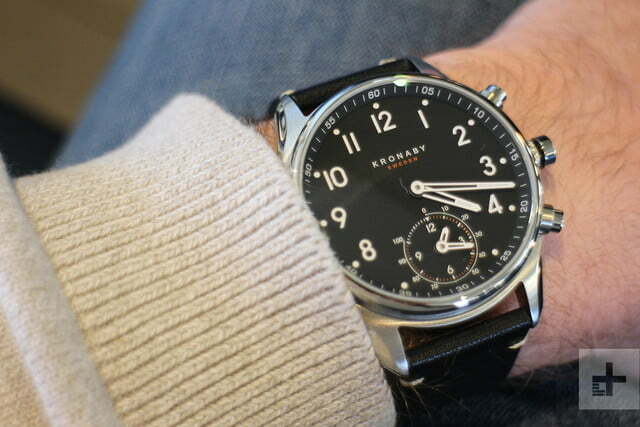 Ultimately, the Apex and all Kronaby’s other hybrid watches look traditional, and wouldn’t be mistaken for a smartwatch. Many will think that’s a good thing, but you’re also paying for the features, so they need to be worth it. Hybrid smartwatches most often depend on vibration alerts to inform you of activity on your phone, along with a selection of easy access features using buttons on the body, and the Kronaby watch is no different. It also tracks activity, and comes with a few interesting feature additions we don’t usually see on a hybrid. 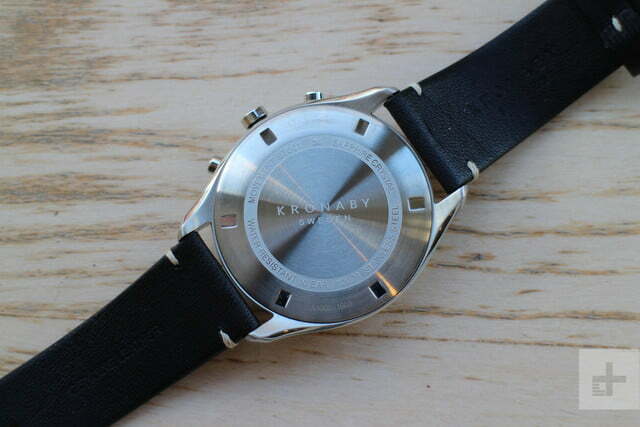 Kronaby doesn’t want its smartwatches to become notification machines — endlessly vibrating away. It wants the smart features to be as subtle as the design. Has it succeeded? A well thought-out, reliable, simple to use app. First, the notifications. These are filtered through the app, and the options aren’t comprehensive. It’s easy to add notifications for SMS messages, emails, and calls; but less so if you rely on other apps such as WhatsApp, Facebook Messenger, or any other non-standard messaging app. You’re not going to find email or social networking notifications either. It’s one of the least notification-focused smartwatches we’ve ever worn. The Kronaby watch supports If This Then That (IFTTT) functionality, but this is less than ideal, and still doesn’t add wider message support. IFTTT takes time and effort to set up, and we feel the average buyer may not be aware of its abilities, and may never bother trying the service out. Kronaby says it wants to minimize notification noise, but this feels like an excuse for a less than robust feature set out of the box. 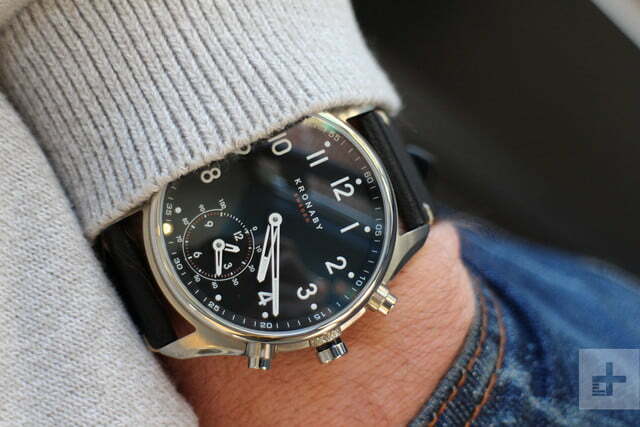 When notifications do come through, the watch pleasingly vibrates on your wrist. It’s not a harsh buzz, but it’s not as tactile or pleasurable as the Apple Watch. You can also tailor the vibration pattern for each alert, helping you identify which app is disturbing you without actually looking at your phone. This is fine, but you’re restricted to one, two, or three vibrations. This makes learning the pattern easier, and it was always immediately obvious what app was calling, even if we weren’t paying attention when the alert first came through. However, if you assign too many apps to each vibrate pattern value decreases, plus if you want more detailed alerts, the Kronaby’s settings don’t offer enough scope. The side buttons can be configured to act as a camera shutter remote, a music player control, or a find my phone alert. Our favorite, however, is the option to add a place marker to your maps app. This comes in handy when parking, as it makes it easy to find your car again. It stores the address of your location in the app, and the link will open it in your maps app. Helpful though this feature is, it requires the Kronaby app to have constant access to your location, potentially affecting battery life on your device. If you want detailed notifications, alerts for everything, and you never want to get your phone out of your pocket until it’s really needed; the Kronaby isn’t for you. It’s more about value here, with key notifications delivered in a subtle fashion, and we feel smartwatches are at their best like this. It’s also refreshing to use such a well thought-out, reliable, simple to use app on a non-Fossil smartwatch. The Kronaby Apex costs $595, and comes with a two-year warranty. The warranty doesn’t cover water damage or misuse, the sapphire crystal, or the battery. 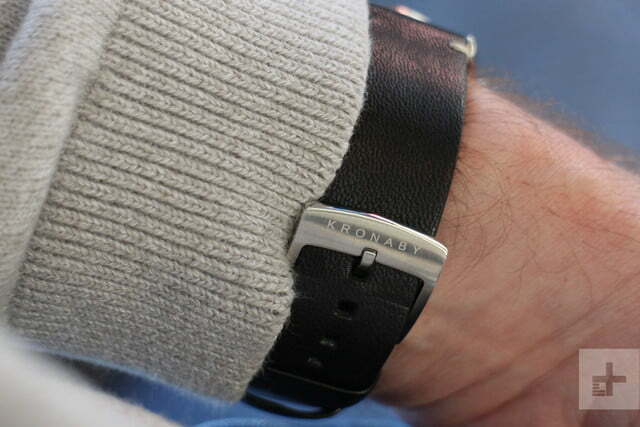 If your watch has a leather strap, it’s only covered for six months. 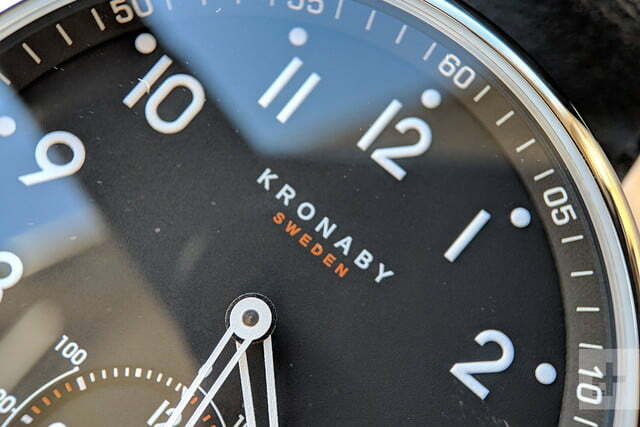 The watch is sold through Kronaby’s own online store with international delivery, and through a selection of other authorized retailers. Expensive but worth it, the Kronaby Apex looks great whatever you wear, and delivers just the right amount of notifications without overwhelming you. It’s further evidence the hybrid smartwatch is a true best-of-both-worlds piece of tech, and that a full touchscreen smartwatch is overkill for most people. Yes. The hybrid smartwatch space is more varied than ever, and the Kronaby range is quite expensive. If the design isn’t to your liking, but the features attract you, then Kronaby’s own Sekel has a classier look in either 43mm or 38mm case sizes, while the Carat retains the classy style with a minimalist twist and only in a 38mm size. 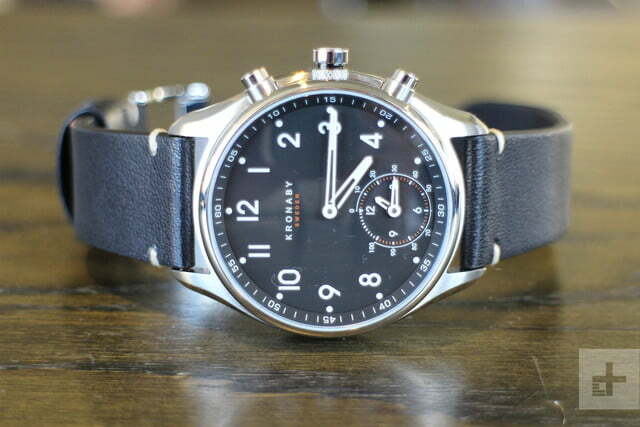 All watches come in various colors and with metal or leather straps. Prices vary from $445 to $725. 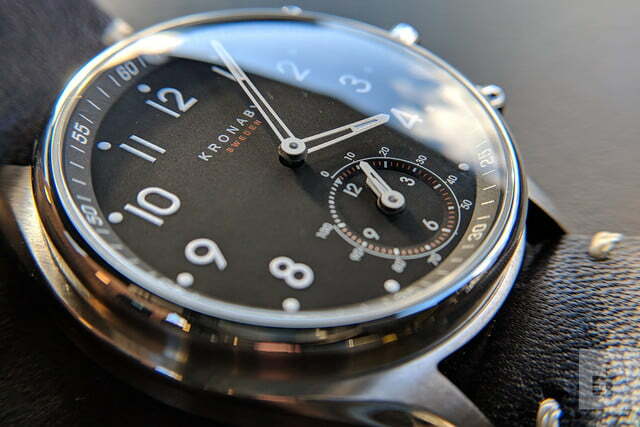 Outside of Kronaby’s range, we’re fans of Skagen’s Signatur minimalist hybrid watches (from $175), and the ultra stylish $295 Emporio Armani Connected. Also, if sportier designs appeal, Alpina’s Seastrong brings the diver watch look to the world of hybrids. We also like the $180 NYSW GTS Activity Tracker, but the app experience is substandard compared to the Kronaby. There’s also a great range for women, including the $500 Michele hybrid, and the Fossil Q Neely. The list goes on, and is growing all the time, with other big-name watchmakers getting in on the action, including Frederique Constant. If you’re also considering a full smartwatch with a touchscreen, the Apple Watch is our current recommendation if you own an iPhone. If you have an Android phone, the $600 Movado Connect is of similar quality and price as the Kronaby Apex. The Kronaby Apex is going to last you a long time. The sapphire crystal is scratch resistant, and the body is water resistant to 100 meters, and made from stainless steel. You’ll have to work hard to do it some damage. The battery is expected to last for two years, and can be replaced when it’s flat. The app is the Apex’s weak link. If support ends or if it’s not updated in the future, the watch’s functionality may be limited. Yes, if it’s in your budget. The Kronaby Apex oozes quality, and the app delivers on its promise; but all that comes at a high price. If you’re a watch newcomer, and want to dip your toe into smartwatches, there are cheaper and equally stylish choices out there. However, none are reasons not to buy one from Kronaby. While its features aren’t ground breaking, it does perform in the way we like — it delivers basic notifications, tracks fitness, and best of all, it looks great.